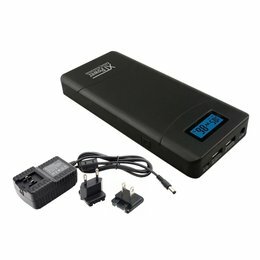 XTPower XT-750Wh lithium-ion battery can be used as energy storage to ensure your mobile power supply. 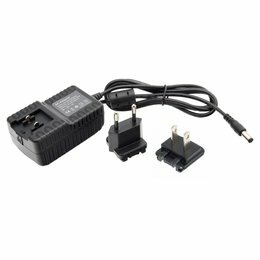 This highly flexibel power supply can be used in the areas of camping, photography, music events or performances, fishing, crickets, remote controlls, handicrafts or also as an emergency power supply. The XT-750Wh will quickly become an important companion for your activities. We are sure, there are many more areas you can use this high energy Power Bank. Robust, high performance rechargeable battery for leisure, travel and work. Flexible charging function via power supply or solar panel (solar panel not included). Charging of different devices also possible in parallel. The simultaneous charging and discharging of the XT-750Wh is also possible. LCD display for remaining capacity as well as active inputs and outputs. High-quality charging and discharging electronics. Protection circuits for deep discharge, overload and short circuit. High quality and long lifetime of the batteries by using high-quality lithium-ion cells. Lighter, longer life, safer, more environmentally friendly and more portable than usual heavy lead acid batteries. The XT-750Wh weighs only 7.6kg with a compact size of 35x16x28.5cm due to the use of cells with high capacity. The energy storage unit XT-750Wh can be charged with a power supply and also with a solar panel. With the power supply (24.5V 150W included) this takes about 6 hours. When you are on the road or you do not have a power supply, you can charge the XT-750Wh with solar panel via a special charging socket. With a solar panel (30-36V 40-200W, not included), this can take 5 to 25 hours (optimal conditions provided). The XT-750Wh detects the incoming power and activates automatically. Thus, the energy storage in combination with a suitable solar panel can be charged well even under changing weather conditions. What options do I have to load my devices? The XT-750Wh offers a variety of connectivity options. 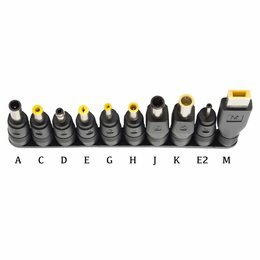 Outstanding are the two 230V/50Hz sockets, to which you can connect your devices directly. With a maximum load of 500 watts (peak 550 watts), you can operate or charge many devices. In addition, the energy storage XT-750Wh has two 12V round sockets and a 12V vehicle output. Three additional connections are also available for USB charging. From 1A to 2.4A you can also charge your devices in parallel. Suitable for many applications: The number of outputs, which you can use in parallel, make this Powerbank a flexible power supply. Whether for 230V, 12V or 5V devices, you have found the right solution. The built-in 3 watt LED light has five different modes. You can switch between 100%, 50%, 25%, emergency interval or SOS signal via the switch on the LED light. How do I know that my XT-750Wh can be operated or charged? Please check first the required input power of your device. Compare this with the possibility of the required connection on the XT-750Wh (for all details, see the technical data). If your equipment, e.g. uses less than 500 watts at 230V, then you can operate this device with the XT-750Wh. Can multiple XT-750 Wh be connected in series? Never charge the XT-750Wh mobile power supply at the same time with a power supply and solar energy. Further details can be found in the technical data on the tab above the description. We hope you enjoy this high-quality energy storage XT-750Wh. Charing 29.4V 150 watts max. Function Connection for laptop, camera and many other devices up to the maximum possible power if 500 watts. Function Fixed voltage value of 12V per output. Operating or charging of 12V devices. Connection Typical vehicle round connector for car power supply units. Adapter for Powerbank specific adapter for XT-750Wh. All DC outputs remain permanently active (no automatic switch-off) even when they are not used or small loads. Please turn off the XT-750Wh after use using the main switch. Both AC outputs remain active even when not in use. Please note the internal consumption of approx. 15 watts for active AC outputs. To prevent unnecessary self-charging, turn off the AC outputs (220V) after use using the push-button. NEVER charge the mobile power XT 400Wh simultaneously with a solar panel and a power supply. When charging and operation of your equipment with the mobile power supply, please observe the LCD capacity indicator. If you connect equipment with a high power consumption (e.g. refrigerator), the available capacity may drop quickly and the capacity of 750 Wh cannot be fully provided. For devices with low power consumption (for example LEDs, small laptops, small TVs), the battery is discharged at low level and is therefore able to provide more energy. You will then receive a significantly longer operating time. Do not always use the mobile power station continuously at maximum output. The XT-750Wh has a built-in fan which automatically cools the cells when the load is on. This is necessary to dissipate the heat that is generated and to ensure the longevity of the cells.